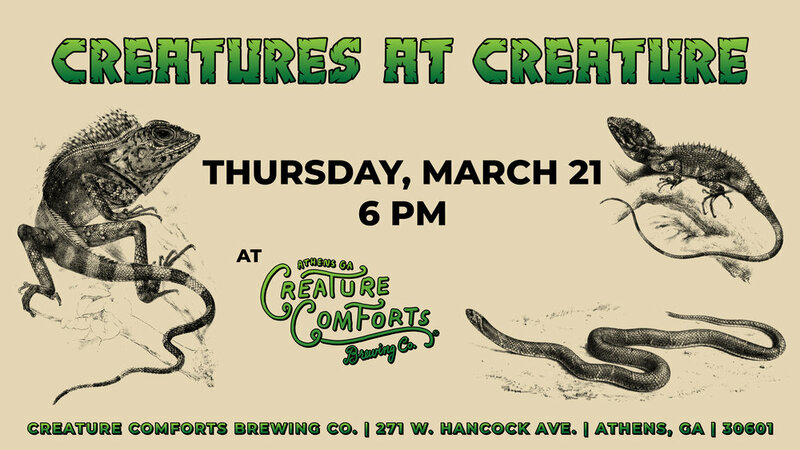 Creatures at Creature — CREATURE COMFORTS BREWING CO.
A match made in heaven - Creatures at Creature Comforts. We're revealing reptiles and other curiously cuddly creatures to see and learn about as you enjoy some delicious beer! This event is on and will be going strong, starting at 6PM Thursday, March 21st.